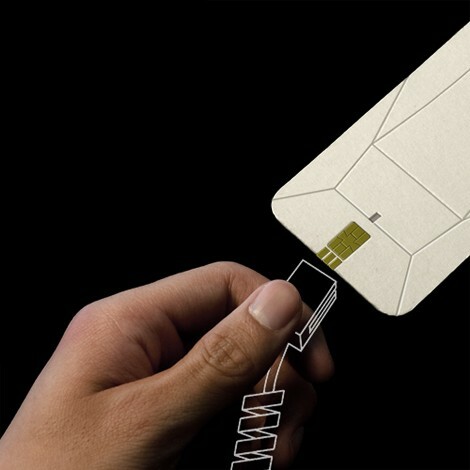 We've seen the cardboard record player and cardboard USB sticks, now another design that thinks outside the (cardboard) box - the foldable phone concept. 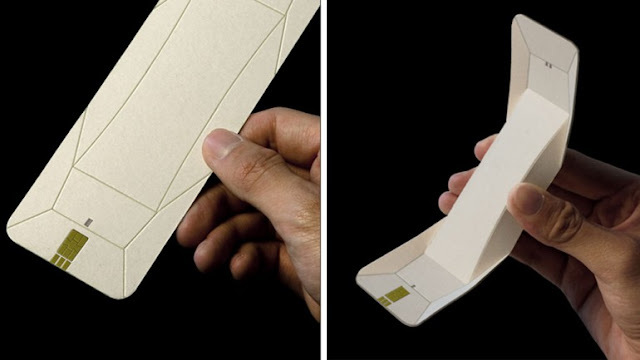 Created by Chengyuan Wei, the Origami phone handset comes flat and like a pop-up book, transforms into a 3D handset with a few simple folds ... oh, and it's recyclable. 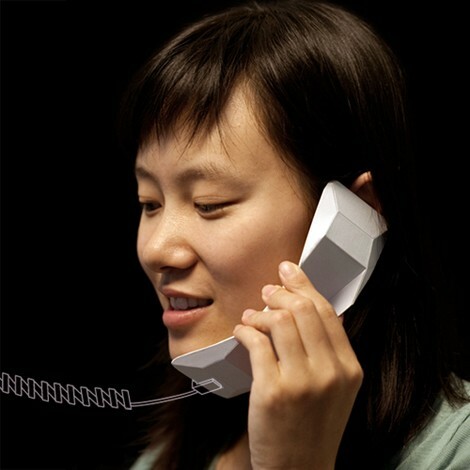 Wei came up with the concept after taking apart a telephone handset and realizing just how simple it is. Wei considered the fact that the market is flooded with new smart phones and mobile phone concepts, yet we haven't seen much in the way of radical design changes when it comes to your simple home or office phone handset. Thus the Origami Phone concept was born.